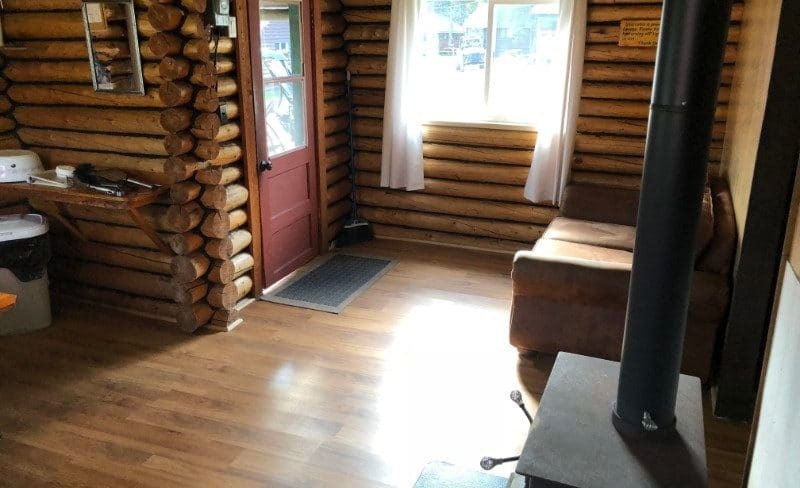 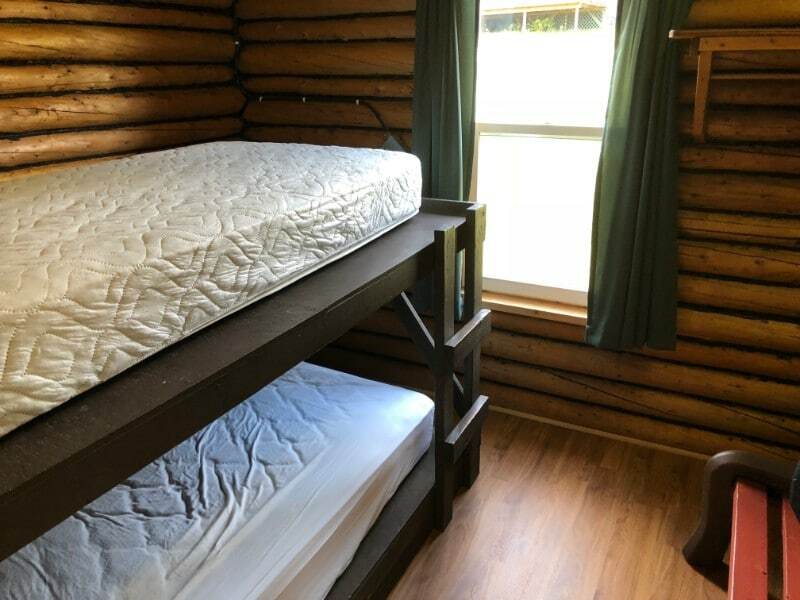 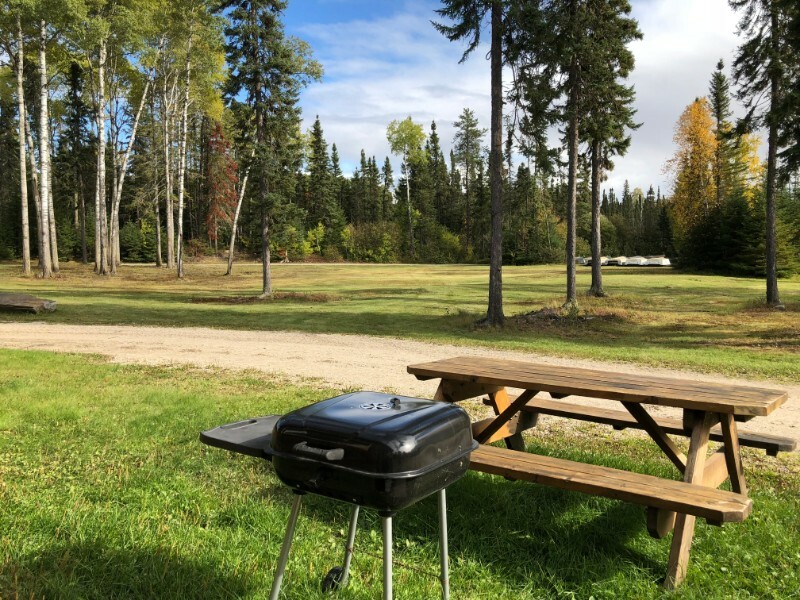 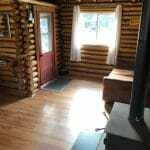 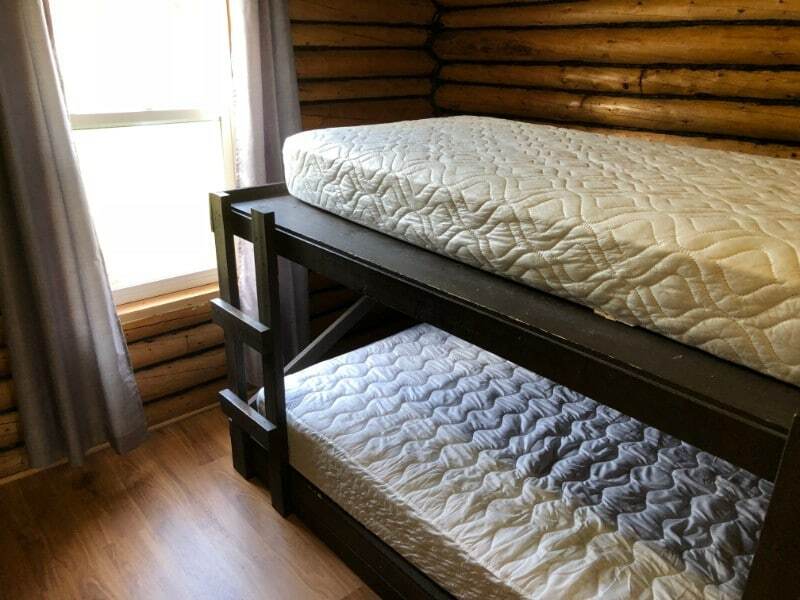 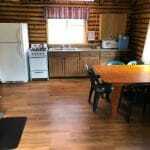 Cabin 3 is one of our rustic cabins that features log construction and it was freshly remodeled in 2018 with new laminate flooring, windows, and kitchen cabinets. 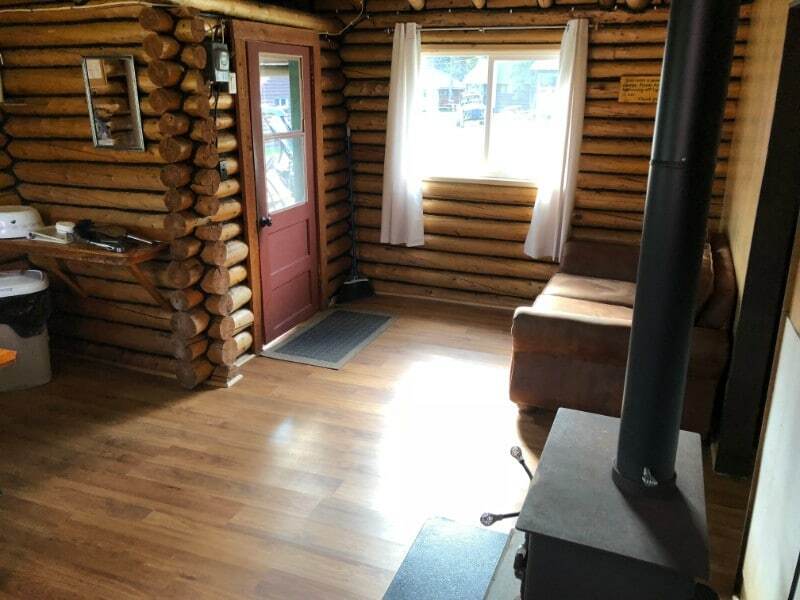 This log cabin is super cozy and is perfect for your next Canadian adventure. 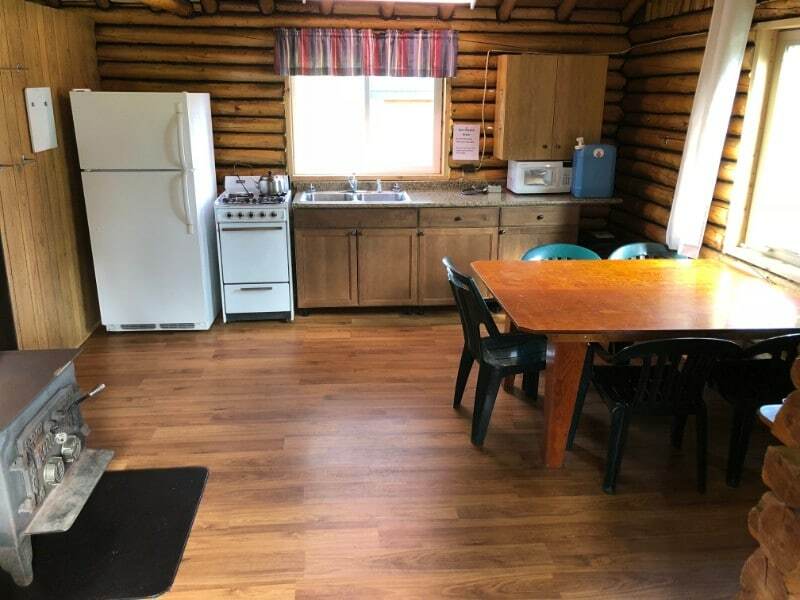 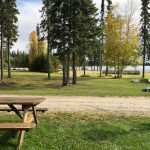 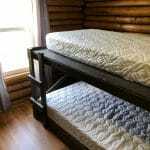 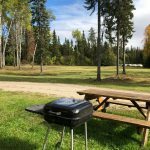 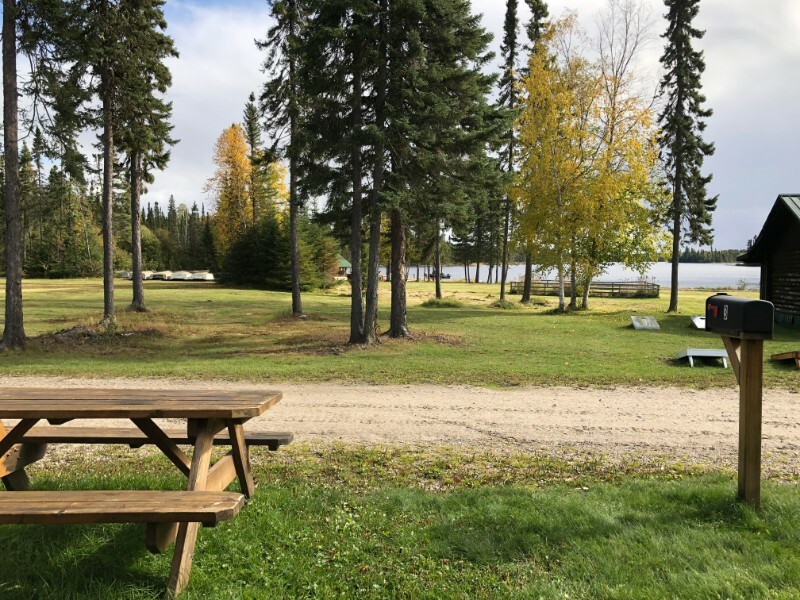 The cabin has a full kitchen, 2 bedrooms, and running cold water at the kitchen sink. 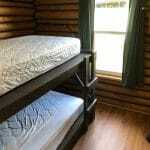 A community shower house with private showering area is just a short walk away.